Often, it is not clear how an accident happened. Since the accident victim has the burden to prove someone is liable, an experienced Los Angeles car accident lawyer will occasionally use traffic reconstruction professionals to help analyze how the accident occurred, and who should be held responsible. Accident reconstruction advice may be needed if local law enforcement can’t identify the cause, and if the memories of those involved in the crash have faded. The more vehicles that are involved in the crash, the greater need to use accident reconstruction professionals. What parts of the accident are reviewed? Accident reconstruction professionals use math, computer science, physics, forensics, reverse engineering, and other sciences to help determine what happened. Sometimes, the professionals create just a written report. Sometimes, they create physical models. Other times, they may create a computer animation of what happened. How could the crash have been avoided? Were the drivers and passengers wearing seatbelts? How did the bodies move about the car after impact? In multiple-vehicle accidents, an analysis is made of who struck whom, and in what order. Accident reconstruction isn’t needed in every case. Still, there are times when an expert opinion is required to prove fault. 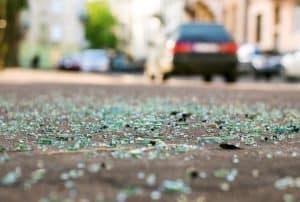 At Taylor & Ring, our Los Angeles car accident lawyers understand how the accident reconstruction process works, which experts have a strong reputation, and how to present the reconstruction evidence in court. To discuss your case with experienced, highly recommended attorneys, please call us at 310-776-6390 or complete our contact form to schedule an appointment.